Gboard just made it too easy to post insane GIF selfiesGboard, Google's iOS and Android keyboard app, has quietly updated its design by moving its GIF-making button up next to the word suggestion bar. The GIF-making feature has been around since last September, but it was hidden behind the emoji button on the bottom. Google's Gboard app gets more languages and built-in stickersFor the uninitiated, Gboard puts Search right in the keyboard. And, it also adds GIFs, emoji-centric tools (including type and scrawl to search), and glide and voice typing to the mix -- which may make you kick your other keyboards to the curb. With the latest update, Gboard now boasts 120 languages in total. Google's Gboard debuts a quick way to create reaction GIFsSimply fire up the Make-a-GIF button and record a Loop, which is a three-second Boomerang-like format. Or a Fast-Forward that lets you record up to a minute of footage and spits out a sped-up GIF. While we can confirm the button's new placement on iOS, as you can see below, we don't see it on Android yet. Would you recommend Gboard by Google to a friend? When I have the old mobile, the Gboard was predefined, and it was a bad idea. The board has a lot of bugs, and you can not personalize like on iOS, you have limited options to have a beautiful chat board. I really like to have this on my new mobile, where iOS is completely different. The iOS original board is very clean, but you do not have some options to use, with Gboard, you have a good options! The best custom keyboard I've used for iOS — it's now the only custom keyboard I have installed. A hundred startups crying themselves to sleep tonight! @orliesaurus Just like youtube cried itself to sleep with video, twitter did with buzz, spotify did with music, and the list goes on. The "what if Google does it" question is over-rated. @jasonlbaptiste @orliesaurus It's especially over-rated when others have had a year or two head-start. @blakeir @jasonlbaptiste @orliesaurus yeah if Google would do everything, then I stay in bed all day but it's not the case! We're building our product and here to stay! @oplante @blakeir @jasonlbaptiste That's the spirit keyboard-apps warriors! don't let google eat your dreams! @orliesaurus @blakeir @jasonlbaptiste you rock! Hey PH, Bri from the Gboard team here. 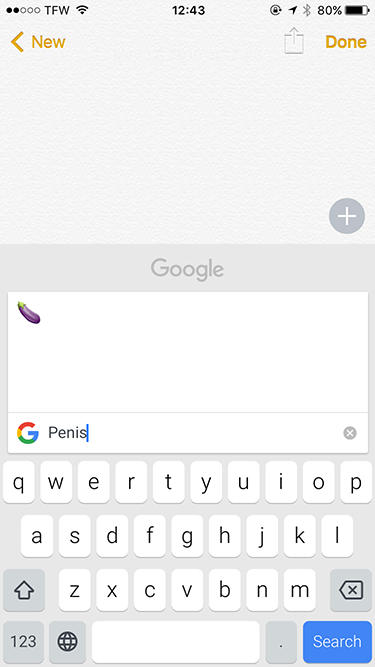 Gboard is a new iOS keyboard from Google that lets you search and send search results, GIFs, emojis and more, right from your keyboard. We also added Glide Typing (aka gesture typing) so you can type even faster. Check it out at goo.gl/gboard. It’s US only for now, but we have a global update coming shortly. A couple of pro tips: - We have emoji autocorrect. Try typing “pizza”. - You can move the cursor by dragging your finger across the space bar. - When you tap a search result card the text is added to your message, but you can send an image of the card by pasting into the messaging space. - We’re trying out this new predictive search feature. Try texting a friend, “want to get a drink tonight” to see it in action. 🙏 We’d love get some feedback and I’m happy to answer questions! @bricon5 Look great! Can't wait to have it in The Netherlands. @jordyvangent Glad to hear it. More languages/countries are coming soon! @bricon5 @jordyvangent Would love an option for metric/celsius 😊 Keyboard is nearly perfect otherwise! @yashendra2797 @jordyvangent It's coming with our multi lingual release! @chadwhitaker This is groundbreaking technology. Can we have a icon like the pre-release one for US only products? @juanbuis would be a great feature - tired of trying to find out if products are available north of the border or not. Is it cool to upvote my OWN thing? Super happy with this. What are some Android must-have Apps for 2017?